Over winter break this year I had time to read… books… not just journal articles for a change. It was nice. 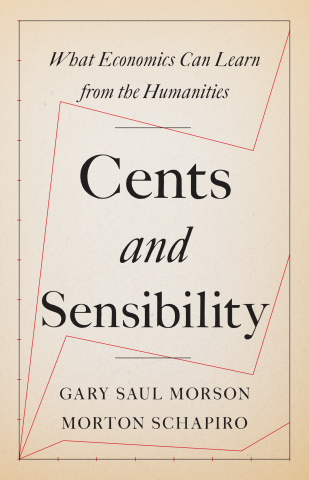 One book I read was, Cents and Sensibility: What Economics Can Learn from the Humanities by Gary Saul Morson and Morton Schapiro. As someone who doesn’t spend enough time reading literary classics (or much fiction at all), this book challenged me to change my behavior. The authors (both affiliated with Northwestern University) write as one, with expertise in economics and the humanities. It is evident that the authors practice what they preach when they call for more meaningful dialogue between academic disciplines. A dialogue that respects the strengths and weaknesses of each discipline’s epistemological methodologies. The vision is an optimistic goal for what interdisciplinary research could become one day. I think the book is widely applicable to both economists and non-economists. The book is fun as much as it is informative, as it weaves discusses of Russian literature and Jane Austin together with development economics and economic demography. I reviewed the book for Faith & Economics and the review is now forthcoming. A draft of my review is available here.